^ Based upon the values for temperature and radius in combination with the Stefan–Boltzmann law. ^ Anonymous. Arcturus. SolStation Co. 2007 [2007-06-01]. 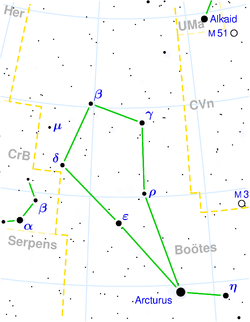 ^ List of the 25 brightest stars, website of the Jordanian Astronomical Society, accessed March 28, 2007. ^ Richard Hinckley Allen, Star-names and their meanings(1936),p. 100-101. ^ Hans Wehr(J.M. Cowan ed. ),A dictionary of modern written Arabic (1994).